Welcome to the walleye.com Forums. 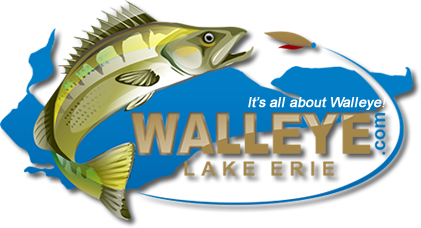 www.walleyetacklestore.com is the offical tackle store of walleye.com and this fishing forum site. Now Over 20,000 fishing products at EVERY DAY LOW PRICES! Looking to purchase or sell a FISHING BOAT? View hundreds of boats posted by community members at www.walleye.com. Post WESTERN LAKE ERIE (Far Western Lake Erie, Reefs, Bass Islands, Sandusky Bay etc.) fishing reports here. Be sure to include fishing location, time of day , lake conditions, Depth, depth that fish were caught and of course what you caught. Post CENTRAL LAKE ERIE (Vermilion, Huron, Cleveland, Eastlake, Mentor, Ashtabula, Erie, PA ) fishing reports here here. Be sure to include fishing location, time of day , lake conditions, water depth, depth where fish were caught and of course what you caught. Use this forum to view or post fishing reports from the Eastern Basin of Lake Erie. Book a Lake Erie Charter with one of a hundred plus captains that support the walleye.com and fishing forums web sites. Any general discussion of Outdoors related activities go here. NO LIMITS but KEEP IT CLEAN. Have something for sale or trade? List it here. and FOR FREE! Most users ever online was 1,757, 03-17-2019 at 07:53 AM.